Freematics OBD-II Emulator MK2 is world’s smallest OBD-II emulator with KWP2000, ISO9141 and CAN bus simulation. It provides an 16-pin female OBD-II port which is identical to that of a real car and responds to requests for standard OBD-II PIDs from plugged-in OBD-II compliant device. It emulates up to 6 active vehicle diagnostic trouble code (DTC) as if a real car has when encountering a component malfunction or fault. Request for VIN is also responded and the VIN can be altered. The emulator connects to PC via USB cable and is operated via an easy-to-use software GUI. Secondary development is possible with serial TTL connector available for connection of interaction with Arduino or other embedded system with source of data (e.g. sensors). 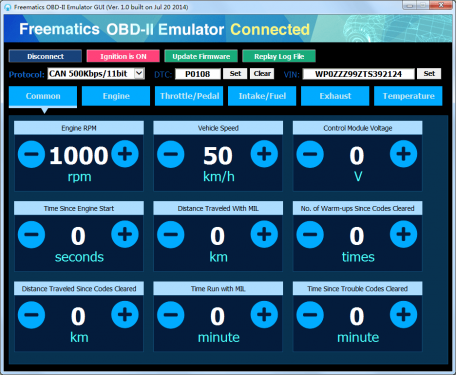 Freematics OBD-II Emulator is practically useful and cost effective for OBD-II related application development on desk. Once extended with external data source, it can even be used to provide an OBD-II port for vehicles that don’t have a real one and thus existing OBD-II device/software can also work with the vehicle. The emulator is controlled by GUI software via USB interface. 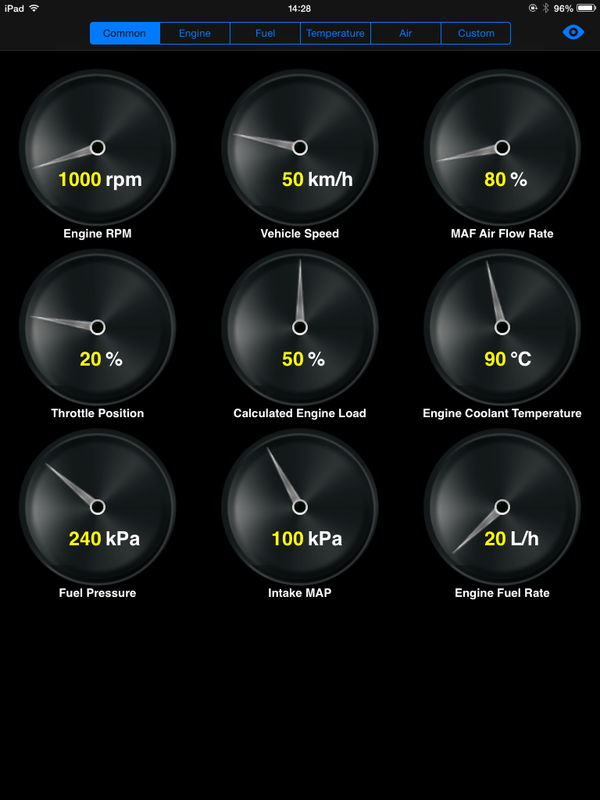 The BLE enabled version provides additional wireless control by iOS device (iPad/iPhone) with our Freematics Emulator App. NOTE: The 6-pin XH-2.54 socket provides an interface for serial TTL connection as well as DC power supply of 3 different voltages. A micro-controller board or Arduino can be connected with the emulator and act as the host controller. The source of data may come from rotary switches or real sensors attached to them. 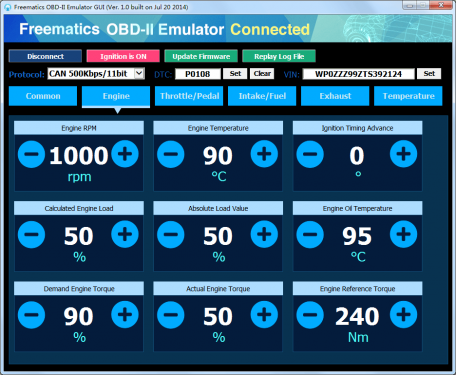 GUI software is provided for adjusting OBD-II PIDs, DTC and VIN through a Windows PC (MAC and Linux version soon). The software can be downloaded here. Please extract the downloaded compressed file and run FreematicsEmulator.exe to launch the GUI. New features are added and new versions are released on monthly basis to extend and maximize the capacity of the emulator hardware. 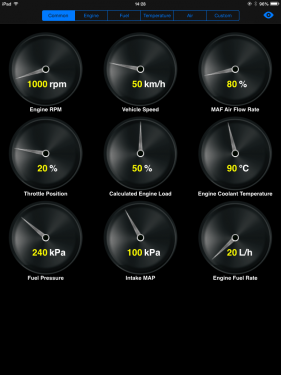 The emulator can be controlled and configured through BLE (Bluetooth Low Energy) by Freematics Emulator App available in App Store. The emulator requires DC 12V power supply. 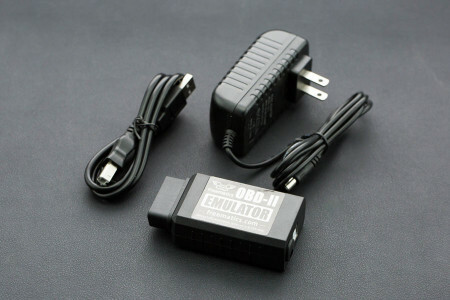 Any DC 12V (minimum 1A) power adapter with 5.5/2.1mm connector can be used. The DC input socket is located beside the USB port. Driver is automatically installed on Windows 7/8. For Windows XP, please download the driver from here. Plug in the emulator and run FreematicsEmulator.exe to launch the GUI software. Click Connect button and the software will attempt to connect with the emulator. Once connected, the Connect button will turn into Disconnect. Your OBD-II device should then work as if plugged in the OBD-II port of a real car. 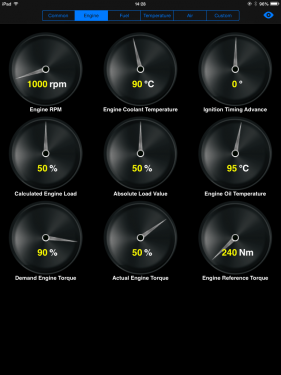 You can use the GUI to change the value of OBD-II PIDs, set diagnostic trouble code (DTC) and VIN. The emulator requires DC 12V power supply. The DC input socket is located beside the USB port. Search “Freematics Emulator” from App Store and install it on your iPad. Yes it’s free. 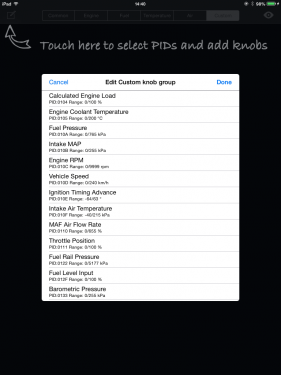 Click the search icon on top-right and the App will search for nearby Freematics OBD-II Emulator through BLE. The found emulators will be listed. Tap on one (or the only one) to connect. Once connected, you will be able to use your iPad’s touch screen to adjust the value of PIDs and configure the emulator. The custom tab allows you to add any supported OBD-II PIDs to the screen as a knob. This is done by tapping the top-left icon and choose the PIDs from the list. The communication between the emulator and the host device (PC or any other devices) is done by AT command-set. The GUI is also implemented on the command-set. So if you want to develop your own GUI or host device, it's not difficult at all. For more information about the command-set, please see here. 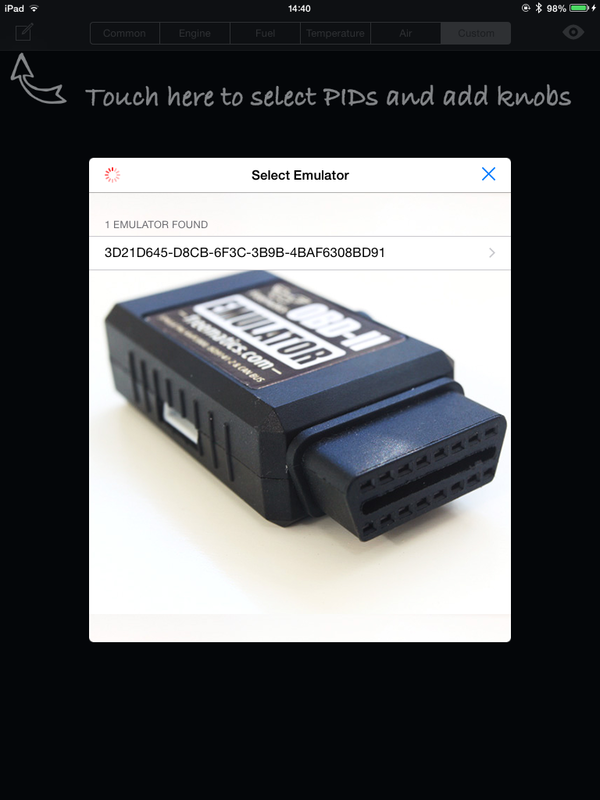 Get Freematics OBD-II Emulator MK2 from DFRobot Store or DFRobot Distributor.